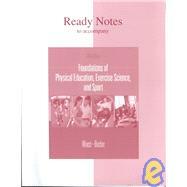 General Books - Books on Sports - Sport Books: Catalog of books about your favorite sports. 2019 General books on sale now. Buy your 2019 General books with us today. We have many General books to choose from and each purchase comes with the ease and convenience of Sportspool's online experience. 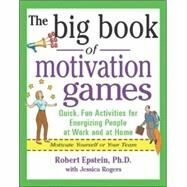 We hope you find the General book that is perfect for you! 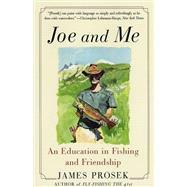 "When James Prosek was just fifteen, a ranger named Joe Haines caught him fishing without a permit in a stream near Prosek's home in Connecticut. But instead of taking off with his fishing buddy, James put down his rod and surrendered. It was a move that would change his life forever. Expecting a small fine and a lecture, James instead received enough knowledge about fishing and the great outdoors to last a lifetime. The story of an unlikely friendship, 'Joe and Me is a book for those who remember the mentor in their life, the one who changed the way they look at the world." "In less than a decade, DC shoes has become an action sports icon. In 1994, Ken Block, Damon Way, and Clay Blehm, the cofounders of DC shoes, revolutionized skateboarding shoes and clothing by incorporating innovative technology and style into their designs. 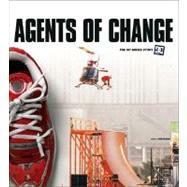 They ignored industry trends and held true to a vision that changed action sports products and marketing forever. The three built DC shoes one T-shirt -- and eventually two shoes -- at a time from the ground up, creating in the process an international name. DC's pioneering attitude was sought out and shared by like-minded athletes, and the DC Shoes team was formed. These once-overlooked and misunderstood superstars are among the most talented and driven professionals and amateurs in their fields. In this photographic tribute, DC salutes its team members and their achievements, a new generation of sports with such athletes as: Skateboarding: Danny Way, Colin McKay, Rob Dyrdek, Josh Kalis, Stevie Williams, Anthony Van Engelen; BMX: Dave Mirra, Colin Winkelmann; Snowboarding: Todd Richards, Scotty Wittlake"
The Ready Notes workbook complements the PowerPoint presentation that accompanies this text. The PowerPoint slides used in class are reproduced in the pages of this booklet. (Instructors can download the PowerPoint presentation at www.mhhe.com/hhp or find it loaded on the Image Presentation CD-ROM that accompanies this textbook.) Lines printed next to each slide allow students to take notes on the PowerPoint presentation as the instructor lectures. Students can later use the PowerPoint images and their own notes to prepare for exams.